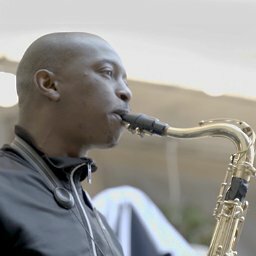 In association with Concerts SA, Luthuli Museum and Artizen Lounge, iSupport Music Business presents versatile saxophone player Thami Mahlangu at the Luthuli Museum in Groutville on December 7, 2018, and at Artizen Lounge in KwaMashu on December 9, 2018. Tembisa-born Mahlangu will present a buzzing line-up. Joining him on stage will be Zibusiso Makhathini on keys, Dalisu Ndlazi on bass, Riley Giandhari on drums and Thabo Sikhakhane on trumpet. Thami Peace Mahlangu started playing music at church- initially the trumpet at age 12. In 2007, aged 14, he was introduced to the clarinet and saxophone at the Moses Taiwa Molelekwa Art Foundation, where his talent was discovered and nurtured. He became part of the MTMAF band called Taiwa Jazz band (2008 until 2012) and played with famous percussionist Poncho Sanchez at a workshop held in Johannesburg at Moses Molelekwa Art Centre by the Standard Bank Joy. The concert on December 9 takes place at Artizen Restaurant & Lounge, 33 106535 Street, KwaMashu. Free entrance at 15h00. Cooler boxes free before 19h00.